Getting kids to eat healthy and get enough vitamins and nutrients can be a never-ending struggle. It can be even more of a challenge if you have children with special needs. With two boys on the spectrum, issues involving food occur pretty frequently. Texture issues, color issues, even placement issues (foods absolutely cannot touch one another). Nordic Naturals has a line of vitamins and supplements just for kids, and we were given the opportunity to try two of their products: Ultimate Omega Junior Chewable Soft Gels and Vitamin C Gummies. Omega-3s are essential fatty acids (EFAs) that are critical building blocks of child development. EFAs affect healthy brain development and visual function and support an overall healthy nervous system. EPA and DHA are omega-3 essential fatty acids that are found in fish and fish oil. Our bodies can’t produce these EFAs, so we have to get them through our food or through supplements. A recent study also found that only 22% of children aged 4-8 meet the expert-recommended adequate intake for the omega-3s EPA and DHA. And other studies really caught my attention – a small pilot study looked at a group of children who were diagnosed with at least moderate autism and who were given EPA and DHA supplements for twelve weeks. The study showed that eight out of nine children improved by roughly 33% on the Autism Treatment Evaluation Checklist, and none of the children worsened or had any side effects. Another study looked at the relationship between omega-3s and hyperactivity in children with ASD. The children receiving the omega-3 supplements were shown to have reduced hyperactivity. These studies were small pilot studies, but suggest that omega-3 EFAs may have positive therapeutic benefits for children on the autism spectrum. As a mom of two kiddos on the spectrum, I definitely plan to continue to provide Omega-3 supplements to my kids after reading this information! You can learn more about all the health benefits of Omega-3s on the Nordic Naturals website. Our thoughts: Nordic Naturals Ultimate Omega Junior supplements are a double-strength EPA+DHA formula for increased omega-3 benefits and are recommended for ages five through teens. These are described as strawberry flavored, but to me they tasted more like a strawberry bubble gum flavor. (Yes, in the interests of being a thorough reviewer, I tried them myself too). For a fish oil supplement, the taste was surprisingly good, although there was a bit of an aftertaste (although not a fishy aftertaste, which is great). My 13-year-old son, Dustin, put it thusly: “They tasted good at first.” The good news is that these are small soft gels (half the size of regular soft gels) that can be either chewed or swallowed. But even my very picky eater doesn’t mind the taste much, although he prefers to follow it up with something to drink before the aftertaste sets in. Vitamin C is an essential nutrient for kids. Vitamin C supports many of the body’s physiological functions and also helps support the immune system and provides antioxidant protection. Nordic Naturals Vitamin C Gummies are recommended for ages four and up, and contain 250mg of Vitamin C per serving. These supplements are 100% vegetarian, pectin based and gelatin free, and don’t contain any artificial colors, flavors, or preservatives. Our thoughts: These are described as a Tart Tangerine flavor, and if my son had his way, he would snack on these all day – they taste that good. I also tried one of these, and they really do taste just like a sour gummy candy. As part of its corporate social responsibility initiatives, Nordic Naturals looks for ways to invest in the future of families through meaningful community and national partnerships. Nordic Naturals has partnered with the Kids in Need Foundation in the “Buy to Give” campaign. The Kids in Need Foundation has one simple goal – to provide kids in need with the supplies they need to be successful in school. So far they’ve distributed more than $550 million in school supplies to low-income areas and has awarded $1.5 million in grants to teachers. They serve 3.6 million students and 120,000 teachers annually! You can learn more about the Kids in Need Foundation and all the great work they do on their website and by watching the video below. Every time a customer purchases a bottle of a featured product (see list below), Nordic Naturals will donate a backpack stocked full of crucial school supplies – notebooks, crayons, markers, scissors, folders, glue, pencils, pens, erasers, and more! A total donation of up to $20,000 – enough to purchase one thousand backpacks – will be made to the Kids in Need Foundation. Through September 30, 2014, you can use the discount code BloggerB2S2014 to save 15% off your entire order, plus free shipping on orders of $25 or more! Nordic Naturals is going to provide a great prize pack for one lucky winner! The prize pack includes 1 bottle of Ultimate Omega Junior, 1 bottle of Vitamin C Gummies, a Nordic Naturals “What’s Essential” T-shirt, and a swag bag full of goodies! Total prize package is valued at over $50. 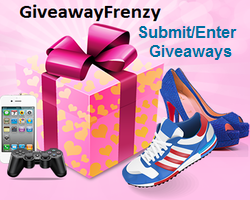 This giveaway is open to the US only and ends August 26, 2014 at 11:59pm EST. Go HERE to enter to win! This entry was posted in Product Reviews and tagged Autism, Kids, Product review by Tara.Bookmark the permalink. I like learning about healthy products and supplements. I would like to incorporate gummies into my own diet as well as my nephew’s. Thanks for sharing your experiences with your sons and Nordic Naturals. I appreciate the honest info. Thanks!! Kids don’t always eat well, as hard as we try to see to it, so these really help. I hope to get these, my children and I all need a good supplement for the winter and sick time of the year.